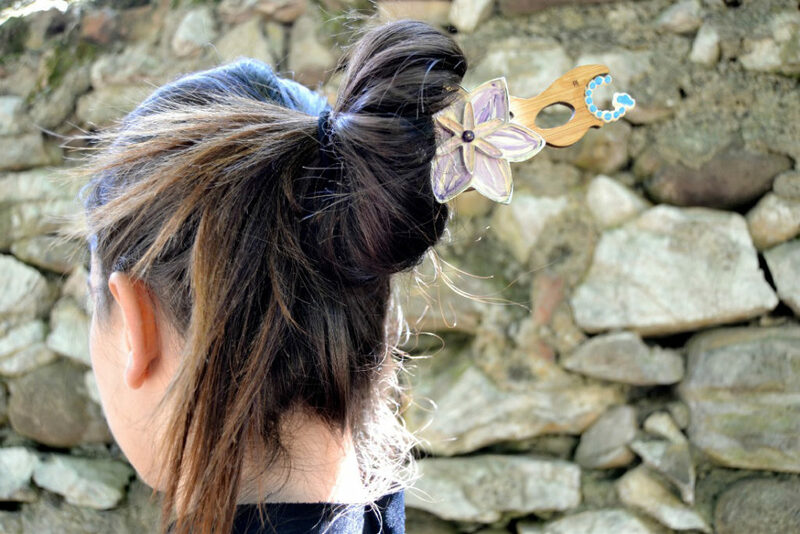 Kanzashi, the ancient Japanese jewelry, with all its history, influences and suggestions, relives through the creativity of a young Italian designer, Sara Cabrioli. At the center: of one’s own body, of one’s own head, of one’s own spirit, of the I. But also at the center of the universe and at the center of the swirl of energy that, outside and inside each living being, fluctuates beyond human feeling. 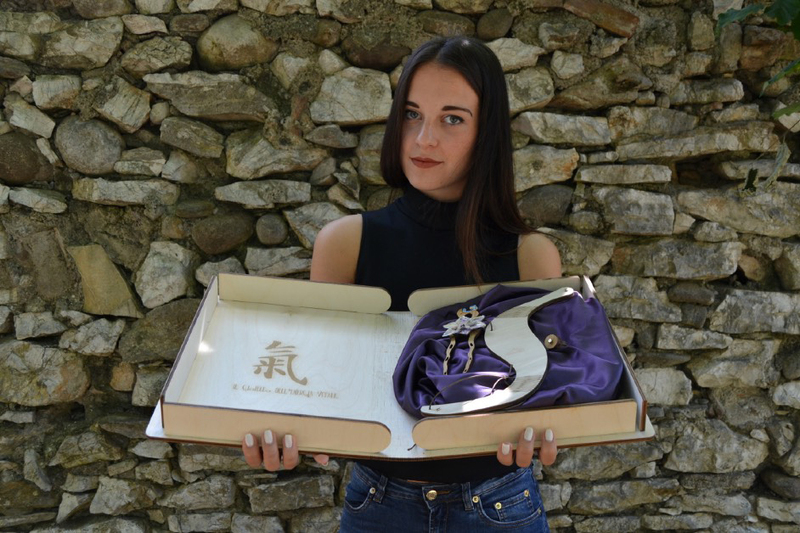 This is the breath that gave life to Ki, the Japanese Kanzashi summarizing the artistic and personal path of Sara Cabrioli, the young designer from the municipality of Brescia and recent graduate from the Accademia delle Belle Arti of Venice. 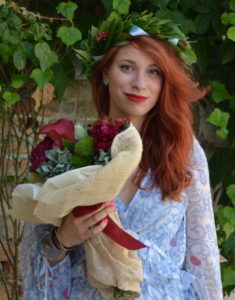 Sara’a dissertation, monitored by professor Roberto Zanon, describes a journey through the encounter of artistic trends (Art Nouveau), customs and traditions (Japan), fashion and design; a journey through the intertwining of influences, contamination of styles, awakening of ancient manual skills, and enlightening of high-aiming looks. 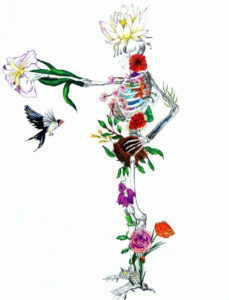 Ki is the happy merge of Sara’s long-standing passion, rooted in her childhood’s attempts to reproduce with a pencil in hand the small floral world surrounding her, and the long-term studies, explorations permanently and passionately connected to painting, to the discovery of new creative horizons, to the exploration of oneself. It’s not merely a hair clip. kanzashi is, in reality, a jewel filled with history, with suggestions, and meanings. A combination that stands between sacredness and solemnity, a proud Japanese ornament distinguishing in the old times the geisha’s status and value. 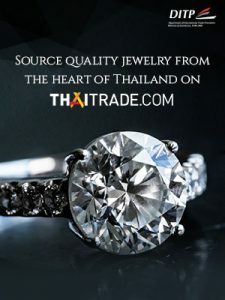 Made of different materials: gold, silver, turtle shell, jade, coral, pearls, precious or semi-precious stones. Coming in different shapes: round or inspired to Nature’s forms, such as flowers, butterflies, dragonflies. Available in different designs: according to the season, month, and occasion. These are all oriental influences that the western culture has learnt to love and to rediscover and pass over to these days. Ki is kanzashi according to Sara Cabrioli. The flower is the heart of the whole work. It is designed so as to be placed on light bases as well, of around 4cm of dimension and 76gr of weight; the flower can be removed from the kanzashi and applied on a round-basis wood ring or on a wood necklace. The elegance of the bamboo makes it possible to wear all the elements even without the flower, boosting the creativity of the person who wears it. “What I intend to represent with my kanzashi” – writes Sara Cabrioli in her dissertation – “is an idyllic scene of serenity which, in my imagination, brings about the Zen atmosphere: a dragonfly flying over a lake, generating waves, and gracefully resting on a lotus flower. 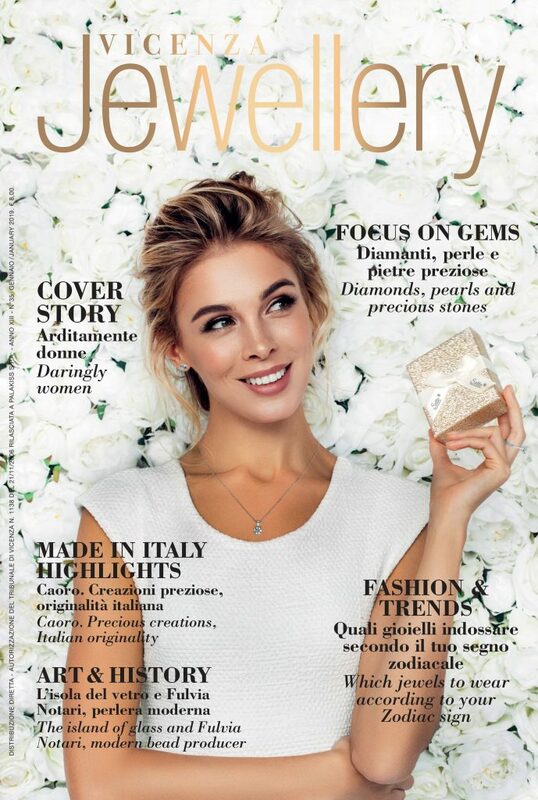 This entry was posted in Design, News and tagged Accademia delle Belle Arti di Venezia @en, designer, designer @en, jewellery designer, jewellery designer @en, kanzashi @en, Ki @en, Sara Cabrioli @en.